Multiplayer gameplay always has the uncertainty of what the other player will do. Each time you play in a multiplayer game, there is an element that you can’t predict, making the game always interesting. Because multiplayer games have this degree of uncertainty, players don’t need a massive amount of content in the game to enjoy it. Compared to a single-player game which a developer has to hand-craft months of content for the player to enjoy, in a multiplayer game, the a developer only needs a fraction of that content. Multiplayer games are far more efficient at pacing. On top of pacing content, multiplayer focused games always have strong long term retention because you have this feeling of being in a living, breathing community. These games create real social interactions between players. Players build social norming bonds. Playing with real people makes it socially acceptable. But creating truly social multiplayer gameplay is not trivial on mobile. Creating a well balanced multiplayer is a massive task on designers, add on top the constraints that the mobile platform creates: smaller screen, shorter session lengths and intermittent connections. Because of these constraints, fully synchronous multiplayer has not really seen massive success on mobile except for a few key games: Hearthstone, 8-ball Pool and World of Tanks. Even with Hearthstone, arguably the best at “lean-back” synchronous multiplayer, I know that each time I play I must be completely focused and I can’t quit within that time. The game is not great for handling distractions or allowing players to leave at will. I’ve gotten in trouble enough times for getting stuck in a Hearthstone match when real life needed my attention. While I’m convinced that games will slowly move towards fully synchronous multiplayer, in the meantime, smart developers will be trying to find ways to create the same benefits of synchronous multiplayer (social gameplay, repeatable content) with systems that are more adapted to the mobile constraints. Many free to play games create the feeling of synchronous multiplayer without actually delivering on it. When players are matched up to other opponents, a bot plays in the place of the actual player. Game designers rely on players not being able to feel the difference between a live player and a bot player. Which is difficult, but not impossible. Contest of Champions by Kabam relies on this. Even though it feels like multiplayer, each multiplayer fight is actually against a bot. By doing this, they cut out problems that come with matchmaking and handling a fully synchronous fighting game with intermittent internet connections. 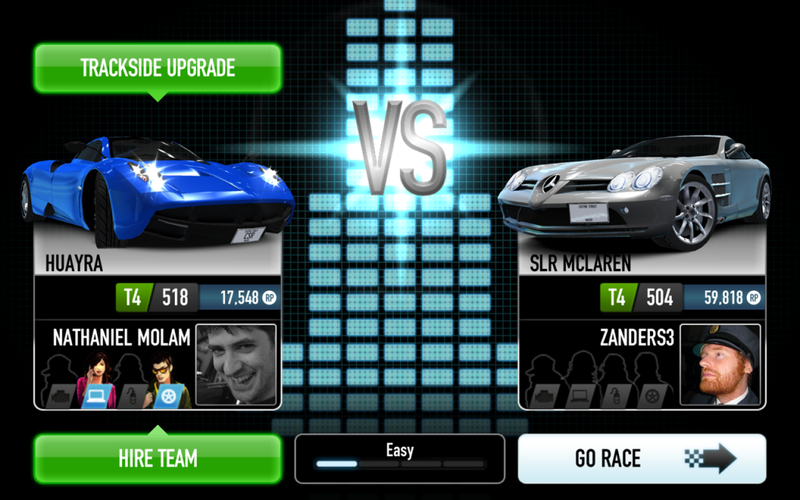 CSR Racing also does something similar. When you race against another player online, they either use stored ghost of the player or a bot to race the player’s car. 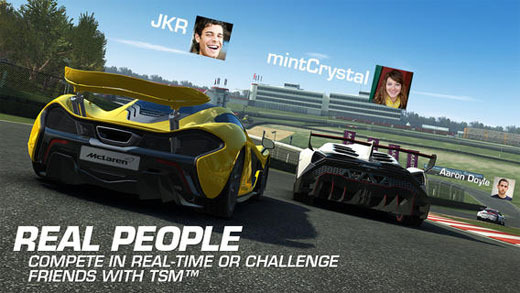 Because of CSR Racing’s gameplay, player’s can’t affect the other player’s race. So playing against a bot or a live player is really no different. But of course, this is the bare minimum of synchronous multiplayer. Just racing against something you can’t effect doesn’t really feel engaging. Real Racing 3 tried to fix this. Taking a recording of another player’s race, they allow you to race against their ghost. During the race, you can bump into their car and send them off course, but their ghost will magically re-adjust to where the original player was racing. Its about as close to synchronous as you can make it. Overall this approach allows you to have the easiest matchmaking, handles connection stability and players can engage in quick sessions. However, true interactions and the feeling of playing against a live player is lacking. Simultaneous multiplayer is something that not many mobile games have used. It originates mainly in browser based games and Fantasy Sports games in the late 90s and early 2000s (see Travian, see Hat-Trick). Simultaneous multiplayer is done by asking players to prepare their strategy in advance, then both strategies are played out at the same time. With this method, players can come to the game any time before the scheduled turn and make their choices. Players don’t have to be online at the exact same time to interact and compete with each other. Top Eleven by Nordeus is one of the few games that have implemented a simultaneous multiplayer system. Each match is scheduled at a set time. 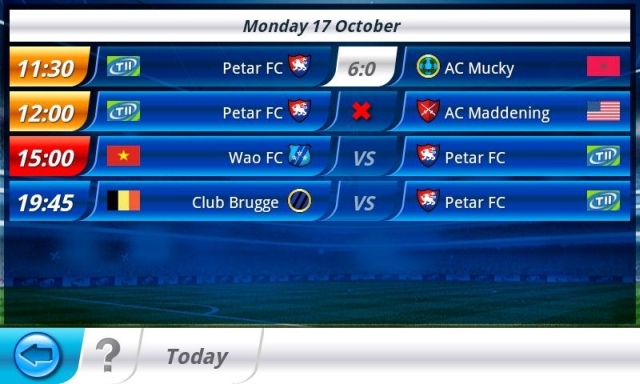 Each player sets up their team’s tactics, formations, strategies beforehand, then waits for the scheduled match to commence. Regardless if the players are active or not, the game is run. 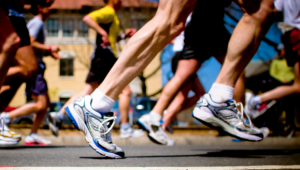 Player’s feel like the pacing is fair: everyone in the world can only the same amount of actions per day. it is extremely difficult to offer monetization in this system without making it feel pay-to-win. Each day each player has the same amount of actions. If payers get more actions than non-payers, or are offered anything that would give them a leg up in the gameplay, it will be felt quickly by other opponents. Matchmaking becomes very important. Session design feels pretty limiting. After you’ve set up your strategy, there’s not a lot to do before the next scheduled turn. So it becomes a difficult decision for a designer to choose between very rapid turns (anxiety inducing) or a long time between turns (boredom inducing). This system suffers from being too scheduled and not giving players much flexibility if they miss out on a round or want to engage more in the system. 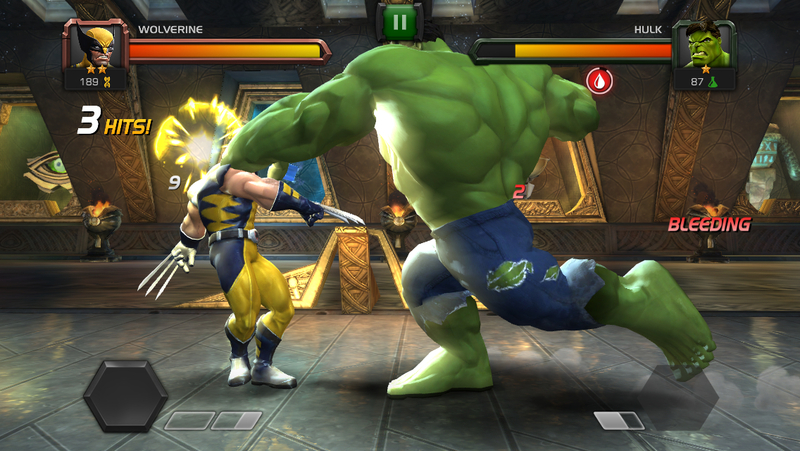 The most popular way to create multiplayer on mobile is focusing on asynchronous multiplayer. Games like Words with Friends or Draw Something have full asynchronous multiplayer. Each player takes a turn, then waits for their friend to finish their turn. While this is engaging initially, the most games that go for this style of asynchronous have failed on the mobile marketplace. Mostly due to matchmaking, session design and monetization limitations with the game design (see our post on eliminating energy and building social mechanics). But async doesn’t have to be designed this way. They can also be designed as asymmetrical asynchronous. Asymmetrical Asynchronous games focus on two types of gameplay, usually active and passive, and making each as engaging as possible. When players are active, they engage in one facet of gameplay (mostly the attacking gameplay), when players are inactive, they passively engage in the other facet (defending gameplay). 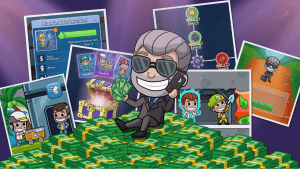 Of course this is shown in the Clash of Clans, Rage of Bahamut or King of Thieves style games. The key with this style of multiplayer is how to make both gameplays engaging and balanced. Ensure that players must engage in both systems in order to progress. Usually this comes in the form of loss aversion: players need to engage in the defending game to ensure their resources are protected from other players. Players also need to engage in the attacking game to retrieve these resources quickly enough to build and progress. So far in the mobile world, asymmetrical games have all been constrained thematically to Clash of Clans style “Attacking” vs “Defending”. There’s been some attempts to change up this formula with games like Zombination, where the player can decide to focus more on attacking (zombies) or defending (humans). However for the most part these games fall under the “clash of clones” style game, yet this system clearly has room to grow for new games. Looking into new ways to apply this formula (Passive vs Active gameplay) to new genres and new gameplay is the key to opening up new opportunities on mobile. 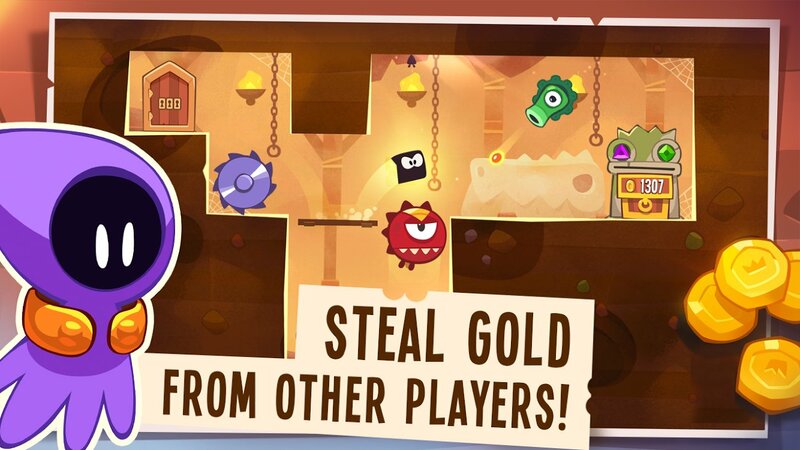 King of thieves is the best example I’ve seen to date. There are other types of multiplayer that can work on mobile. You can go full synchronous like World of Tanks and Hearthstone, but these have session length problems and critical mass problems. You can go fully asynchronous like Words with Friends, but this creates critical mass, player inactivity, and further session issues. You can just stick with leaderboards or other “tacked on” multiplayer competitions, but if you want the real benefits of social multiplayer, you need to tie this into your core gameplay. Thus far mobile has existed in the middle ground — trying to get the advantages of synchronous multiplayer, but without the constraints that are felt on mobile. Each can create strong session design, work with the constraints of mobile, and still feel like living vibrant community. Each have their own problems and their own opportunities.